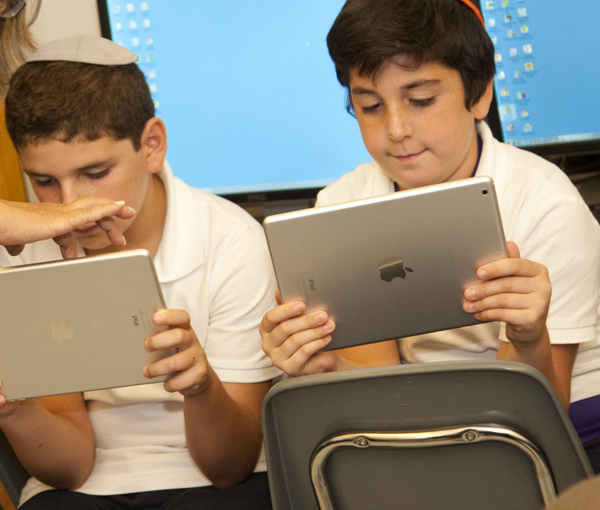 Technology is a tool integrated into all of our disciplines and through all of our grades. Younger students follow individualized reading, math, and science curricula through the Waterford Early Learning program and SuccessMaker. iPads are introduced in our nursery fours; by the time students graduate, they understand and use rudimentary code, know how to create HTML websites, and can use Word, Excel and PowerPoint efficiently. They also learn basic Desktop Publishing.